I’m not sure when I first heard the term, but I’m starting to think that life is Nature’s “killer app.” That is, life finds a way to “showcase” what is possible within the laws of physics, often far surpassing what we can do with current technology. Photosynthesis is a good example. Our best photovoltaic cells are still playing catch-up with the efficiency of the humble spinach leaf. The source of this advantage appears to be, amazingly, that Mother Nature knows more quantum mechanics that we do. Or else, the random tinkering of evolution has hit on some pretty amazing systems. For example, Photosynthesis, Avian Magnetoreception, and possibly even the sense of smell (Olfaction) use quantum effects to greatly increase the efficiency of these processes, beyond what would be possible using classical mechanics along. Nature Physics has a review article (may require login) that summarizes the evidence to this effect. This is a very interesting post about why so many physicists get into biology. Today is December 10, which, in addition to being my Birthday, is also the day Nobel Laureates pick their hardware in Stockholm, Sweden. The date was established to coincide with the anniversary of Alfred Nobel’s death. The half-oxidized form, emeraldine base (EB) is purple-blue, while the completely reduced form, leucoemeraldine base, is yellow. 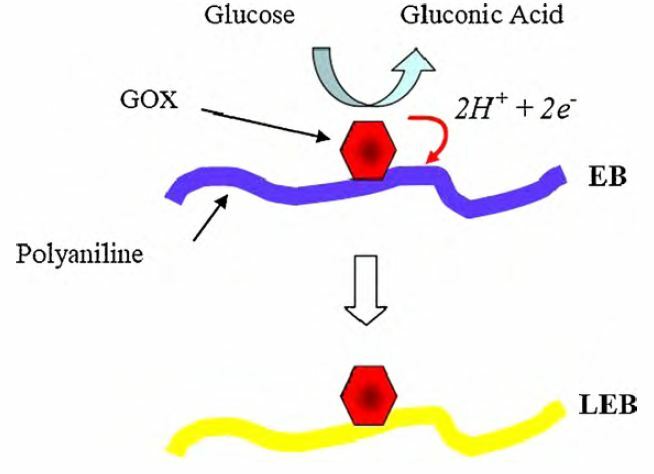 By entrapping an enzyme inside the polymer layer, the concentration of the target molecule can be detected by monitoring the color change of the polymer at specific wavelengths. 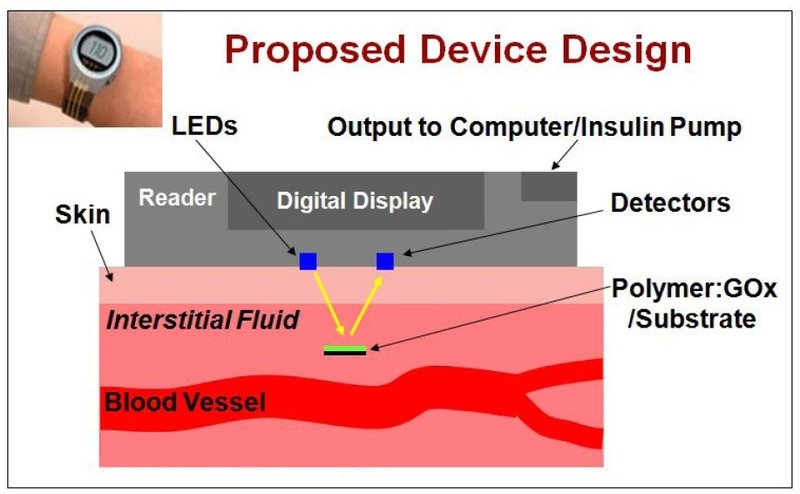 The exciting part is that polyaniline is biocompatible, so a chip containing the polymer and enzyme might be implanted under the skin of a patient with diabetes, and a watch-type monitor worn on top of the implant site can probe the it with light through the skin and measure the color change based on the reflectence. The goal is reduce or eliminate the need for finger-prick testing of blood sugar for insulin-dependent diabetics. Further, we hope to one day be able to create a closed-loop system, in which real-time data from the monitor can be provided directly to an insulin pump, to realize a completely autonomous artificial pancreas.